Basque Dancers in Grove Plaza. The fort was relocated as the region developed to be nearer to the Oregon Trail and on a major route used to access the mining developments to the north. 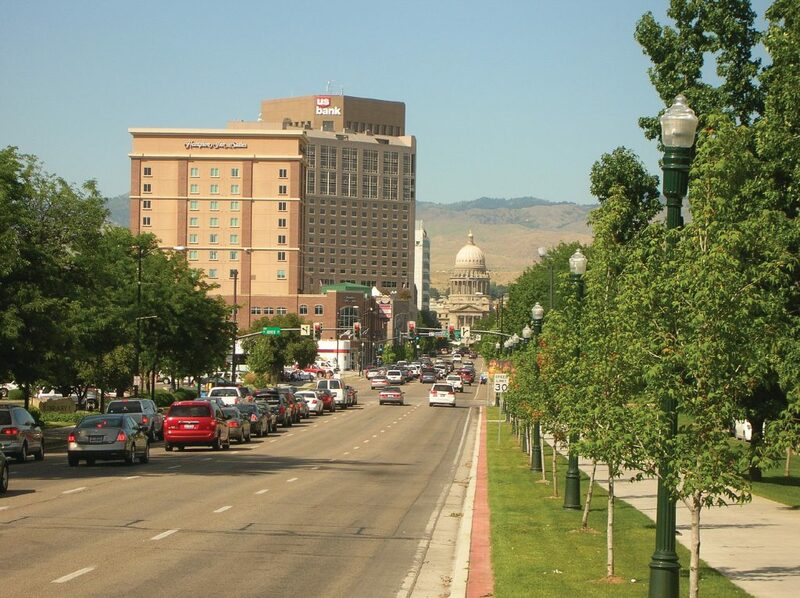 Incorporated in 1864, the City of Boise soon replaced Idaho City in importance in a territory larger than Texas at the time. It has since grown from its pioneer origins into a diverse urban centre of over 200,000 people, rich in tradition with a vibrant, contemporary culture. The best way to experience the City of Boise is on foot. One of the first things that you notice is the leisurely feel of the place, due largely to the many open spaces. A perfect example is the Grove Plaza, the focal point of the city. It’s a broad circular space in the centre of a city block with a fountain and a water park for kids, shade trees and plenty of benches and picnic tables. A community music festival was happening there on one day of my summer visit and thousands of enthusiastic people crowded into the area for the celebration. 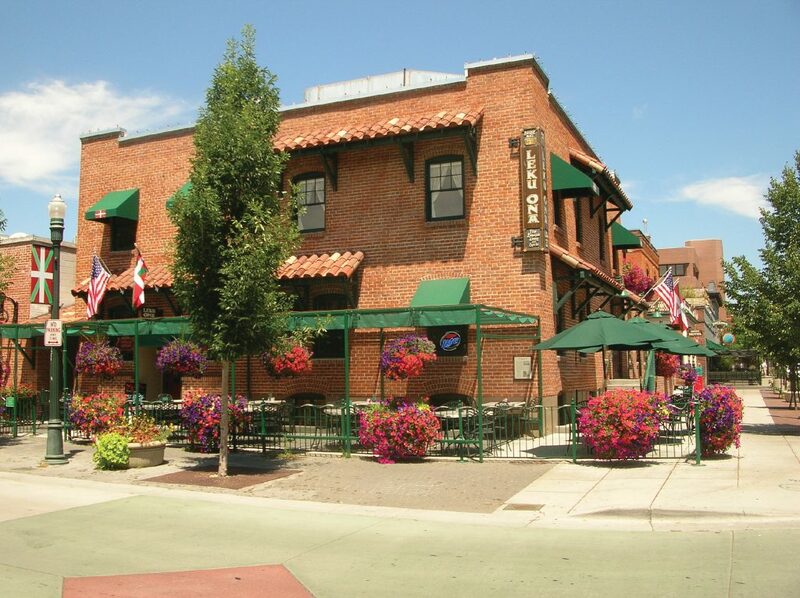 Nearby is the Basque Block in the Old Boise Historic District, with its Basque Museum and Cultural Center, Basque restaurants and historic buildings. 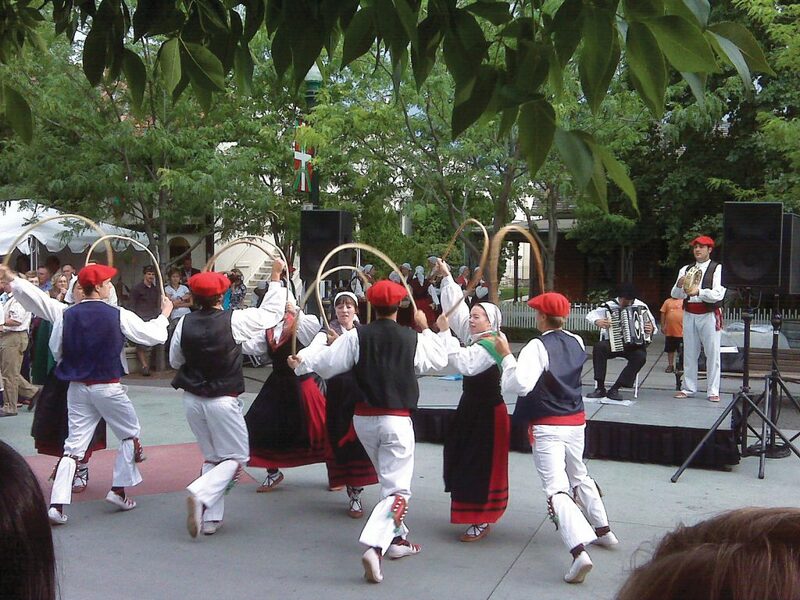 Boise is home to one of the largest Basque communities outside of Spain and proudly celebrates this heritage. The Mayor of Boise himself is of Basque descent. If you go to Boise, consider planning it around the Jaialdi Basque festival which is only held once every five years, the next one occurring from July 27 to August 1, 2010. I was lucky enough to witness a demonstration of their music and dancing, with performers in colourful traditional dress, and was fascinated to learn about this American settlement. The little museum has some good exhibits to explain their roots. River rafting down the Boise River. Heading north you pass through the downtown areas of wonderfully preserved buildings that house shops, some great restaurants and night-time entertainment. 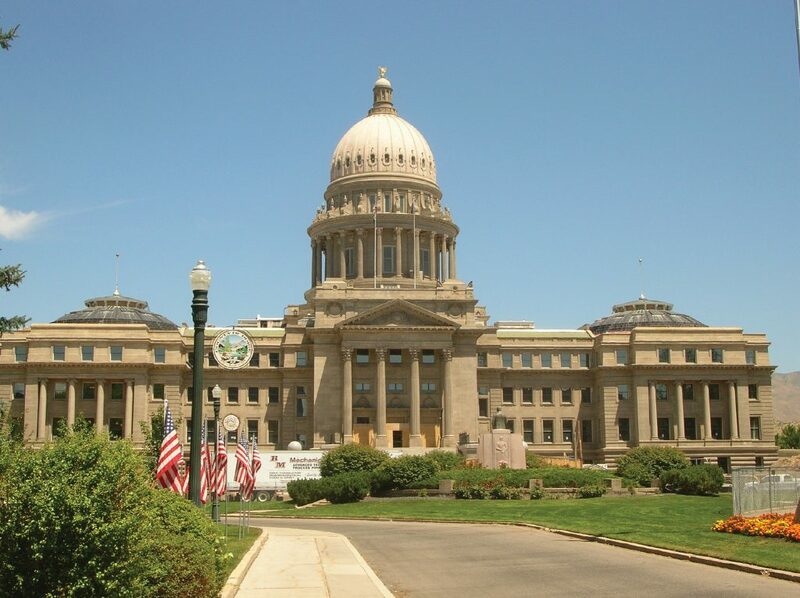 Further on is the Capitol District that includes the Idaho State Capitol Building with its beautiful grounds and the adjacent park. As you walk around this compact city centre you will find the Historic District to the south where warehouses have been converted into funky shops, restaurants and condos. The Cultural District lies beyond that with its coffee shops (try Tully’s on the corner of 8th and Broad Street) and an art school, as well as the many museums and theatres that the city is known for. I was interested to find the Idaho Anne Frank Human Rights Memorial here that includes a full sized bronze sculpture of Anne as she was when she was hidden from the Nazis in Amsterdam in World War II. The memorial also consists of the Human Rights Wall, which is inscribed with more than sixty quotations and stories from “human rights heroes.” Here, too, is Julia Davis Park that contains the Boise Art Museum, Idaho Black History Museum, Historic Museum and Boise Zoo. 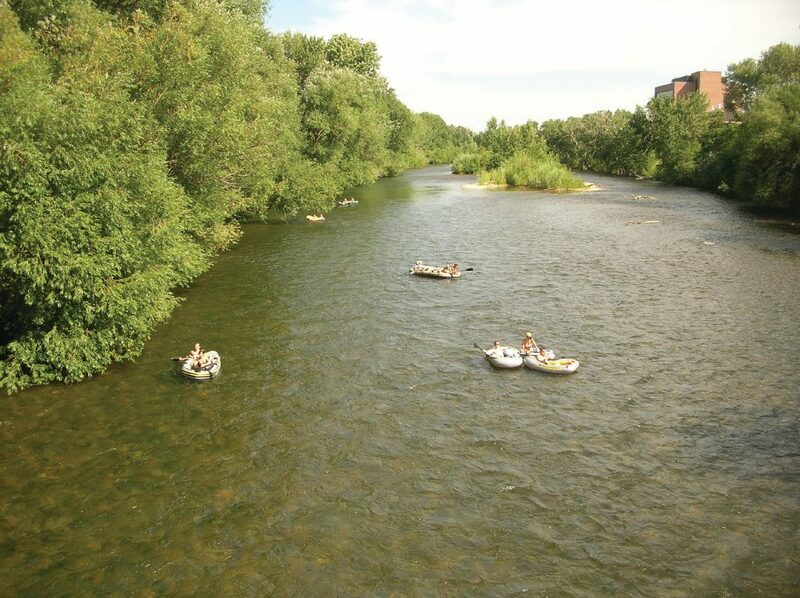 The Boise River lies within sight, just a few minutes walk further to the south. 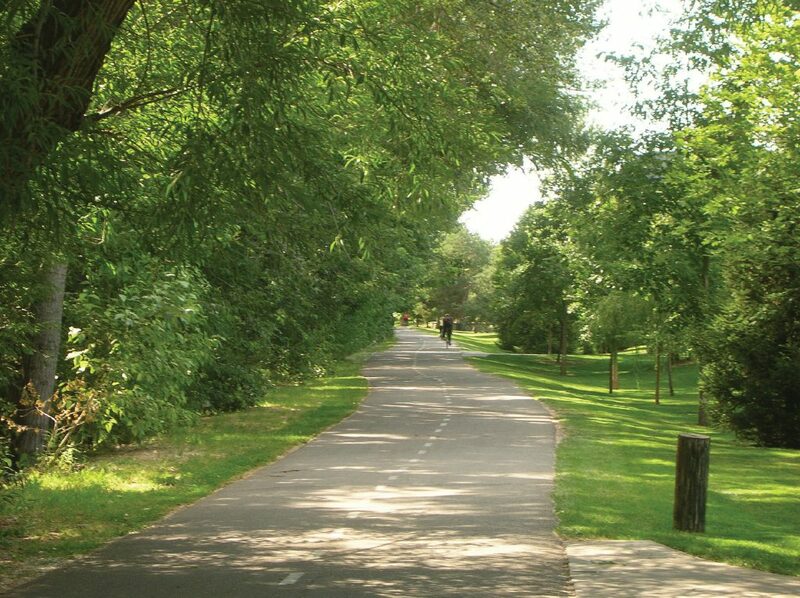 Here the city’s founders had the foresight to preserve its original beauty with the Boise Greenbelt, a 40 km system of paved paths for cycling, walking, jogging or inline skating along both banks of the Boise River. On hot summer days a favourite pastime is floating down the river on rubber inner-tubes or rafts and there were plenty of people doing just that. For visitors and locals alike there are tube and raft rentals available, with a shuttle service that will take you 10 km upstream to Barber Park for the cool and leisurely ride down to Boise. Pathway along the Green Belt. The trees along the paths of the Greenbelt offer welcome shade on a hot day and there were lots of people walking and cycling. Five parks are linked by these paths, supporting wetlands for wildlife along with recreation areas, playgrounds, fountains and picnic spots. If you have time to look around, this city seems to have everything: a university; a thriving arts community that includes opera, theatre, philharmonic, dance and ballet companies; as well as successful sports teams, including baseball, basketball, football and hockey. This is a city that celebrates food, flowers, artisans, wine and hotrods with annual festivals, and one that announces its respect for others and support for its community. There are lots of things for people who like the outdoors to do, too. In addition to the amazing scenery that the hills, canyons and river valley have to offer, fishing, swimming, waterskiing and windsurfing opportunities are nearby in the summer, along with skiing and snowboarding in the winter. It’s a city that has grown from its origins as a centre for mining to develop around the agricultural industry and expand into a diverse business centre—with a heart. The people I met here were genuinely nice (a characteristic that Canadians will appreciate), and none more so than the Governor, “Butch” Otter, himself. At a boisterous western barbeque I attended, the Governor, in his cowboy hat and big, shiny belt buckle, proved to be a model host and displayed a real friendliness to his guests that I will always remember from my visit. And you thought Idaho was only famous for potatoes. See http://www.cityofboise.org for more information.